It's time for the genre to hit the reset button. Everyone knows movies based on video games are bad, but do any of us really know why? A few obvious explanations are proffered every time something like “Warcraft” or “Rampage” opens to middling reviews and/or disappointing box-office returns — the source material itself is lacking; securing the intellectual property eats into already-inflated budget — but could the problem be that watching a video-game movie isn’t enough like playing an actual video game? A glance at the Wikipedia page for “List of films based on video games” reveals that the just-released “Rampage” and last month’s “Tomb Raider” reboot share the dubious honor of being the best-reviewed films of their kind, as their 49% score on Rotten Tomatoes is 13% higher than any other game-turned-movie ever made. Think about that: Not a single movie based on a video game has ever been well-received by a majority of critics. Though frequently profitable, these projects are almost literally never good. Clearly the formula is broken; why not try a new approach? 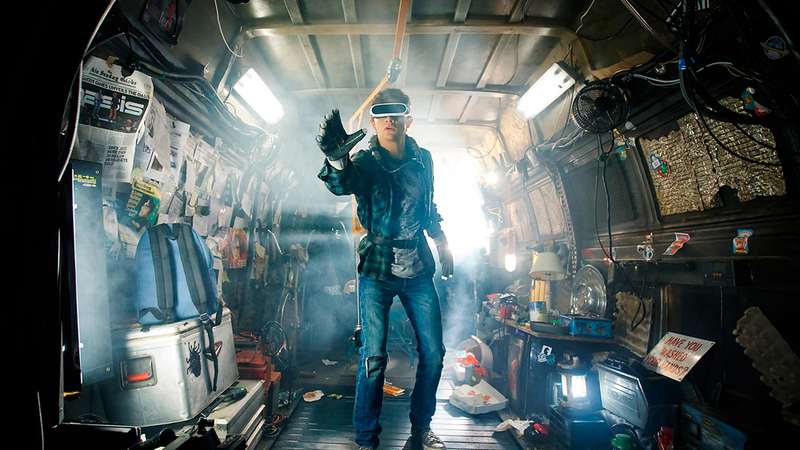 Near the end of “Ready Player One,” millions of people watch as Wade Watts (Tye Sheridan) plays a video game released in 1979 called, simply, “Adventure.” If that seems an unrealistic climax to a Steven Spielberg film that cost $175 million to make, consider this: As of this writing, 212,849 people are watching a gamer who goes by the name of Ninja play “Fortnite.” Ninja, real name Tyler Blevins, recently broke the internet (and attracted simultaneous 635,429 viewers) when Drake joined him to play the first-person shooter, which has emerged in recent months as the most widely watched game on Twitch. The incredible — and still-rising — popularity of the streaming site attests to the fact that more people enjoy watching others play without actually participating themselves than you might expect. A quick count of the most popular games shows that more than one million people are watching at any given time, and Ninja himself has nearly 5.7 million followers. It’s a lesson that Hollywood would do well to learn. Not that there haven’t been flashes. Like “Edge of Tomorrow” before it, “Ready Player One” captures the feel of video games without actually being based on one. Its virtual world, known as the Oasis, invites players seeking an escape from IRL drudgery to create unique avatars, collect coins, dance, race, even fight one another — an activity that comes with the risk of digitally “dying.” In devoting so much time to the inner workings of the Oasis, Spielberg’s film adheres to the internal logic of gaming in a way that’s genuinely compelling. With a few exceptions, direct adaptations of video games never acknowledge their origins in any meaningful way. They’re presented the same fashion any other genre flick might be, often altering the game in question’s plot in a way that alienates existing fans and does little to woo potential converts. 2005’s “Doom” — which, like “Rampage,” stars Johnson — features a first-person sequence meant to mirror the experience of actually playing “Doom”; though silly, it’s also the most memorable scene in the film. (The most cinematic, too: Presented as an unbroken tracking shot, it lasts several minutes and appears as though more thought was put into it than the entire rest of the movie.) Uwe Boll’s “House of the Dead” embraces its roots as well, going so far as to incorporate actual game footage, but as it’s directed by Uwe Boll it’s difficult to point to as a positive example of pretty much anything. This approach might not be conducive to conventional drama — it’s difficult to worry too much about the hero if you know he or she has another life — but video-game movies’ attempts at drama tend to fall flat anyway. Rather than try to be something they’re not, it’s time for these films to hit the reset button and get an extra life.